February opens with a sweet, surprising alignment in the stars, as Venus syncs with Uranus at 28º in the fire signs, Sagittarius and Aries. This is counter-balanced by a not-so-harmonious meeting between Mars and Pluto, who clash uncomfortably at 21º of Aries and Capricorn. While there’s passion and sparks flying there’s also a struggle underway, and it’s hard to tell who will come out on top. Keep your cool and avoid passive aggressive energy – or outright aggression! On February 8th there’s especially good news for the fire signs – particularly Leo and Sagittarius – as the sun aligns with Jupiter. On the same day, Mercury syncs with Mars, which in turn is positive for Gemini, Aries, Virgo and Scorpio. The quality of this day is stunning, as the sun shines its light on all we’ve pursued since Jupiter took up his spot in Sagittarius, which kicked off in November 2018. While it hasn’t been easy pressing lift-off (thanks to soggy, foggy Neptune pressing up against the embers,) we’ve hopefully gained some momentum in January, with Mars in Aries. February continues in the same vein, and thrusts forth excitement on this day in particular, as the moon moves into fire sign Aries (5 pm GMT). There are more sweet cosmic alignments this month, as Venus syncs up Saturn and reaches out to Neptune and Mercury on the weekend of the 16th. So, if you’re saving your Valentine’s celebrations this is a glorious time, with underlying sentiments of sweet (Venus) romantic ideals (Neptune). On the other side of the coin it could be an especially deluded time for love, so be sure your Valentine is welcome! The sun moves into Pisces on the 19th, as Mercury meets Neptune in Pisces, making for a dreamy day! This is also the time when Luna opposes the sun for a full moon moment, moon peaks in Virgo at the initial degree of the sign, 0º. More on that special lunation to come. A super dupa weekend arrives at the very end of the month, when Venus and Pluto (in Capricorn) meet, and simultaneously align with Mercury (in Pisces). This is quite an occurrence, and the stars are pretty harmonious in the yin polarities of earth and water. It’s a spectacular time to think about ways to move beyond the material realms – or at least utilise them a little more considerately. Venus will connect with the south node throughout the last week of February, making it easy to let go of any outmoded wants, desires, possessions or business structures but could also be a time of loss and having to let go of expectations around what we desire. 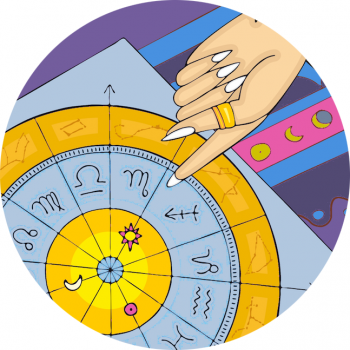 Read more about the shake-up already occurring, with the onset of Uranus in Taurus!